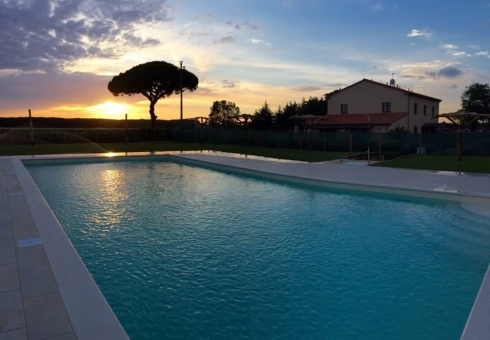 Services of Conte Novello Farm - pool in the hills of Castagneto Carducci. Beach resort Castagneto carducci. free wifi. Bike rental. The Swimming Pool > For your relaxing moments in the countryside at your disposal a beautiful pool immersed in a spectacular garden. Its 1,5 mt depth allow you to enjoy a regenerating swim! The Wine > Your apartment is dedicated to one of our wines. Curious to taste it? 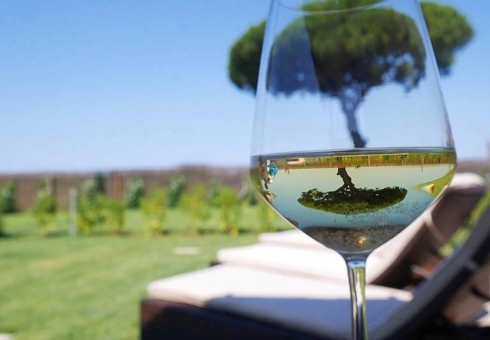 For you a free wine tasting experience directly in our wine cellar in Bolgheri! The Sharing > Staying connected is indispensable, that’s why at Podere Conte Novello there is free Wi-fi in every apartment. The Taste > For your barbeques outdoors and to taste the typical Fiorentina steak and grilled fish there is a large area with dining tables and chairs for a great grilled meal... buon appetito! The cycle track is close to us , arriving at the beach easily, 2 km distance. It’s possibile to hire bikes, mountain bikes and professional at Marina di Castagneto and Donoratico . We will be more than happy to give any extra information for your biking tours with detailed maps. Services of Conte Novello Farm - pool in the hills of Castagneto Carducci. Beach resort Castagneto carducci. Wine tasting Livorno.